Chinese telecoms company ZTE has predicted a nosedive in profits for 2012 following a rocky year. In 2011, ZTE recorded net profits of 2m yuan, but forecast the figure to drop by between 220% and 240% – representing a loss ranging from 2.5m to 2.9m yuan – for the last 12 months. Operating revenue fell by 18%, with ZTE blaming “postponed execution of certain systems contracts”; a “decrease in revenue from terminals in the domestic market”; and “delayed progress of certain international projects”. ZTE said it had taken on a number of low-margin contracts in Africa, South America, Asia and China, leading to an 11% drop in profit margins compared to 2011. There is some confidence for the first quarter of 2013 though. 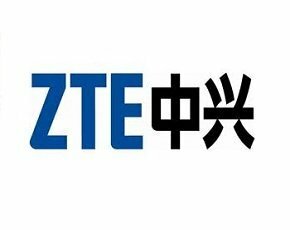 ZTE is selling its shares in the Shenzhen ZNV Technology Company for between 820m to 880m yuan and the income will be reported in its first quarter results for 2013, which should lead to profitability. The markets have reacted badly to the unaudited figures, with Reuters reporting a 5% drop in share price. A full report for ZTE’s results in 2012 is due soon.